Our team can deliver Through Life Support to programmes for all aspects of logistic and engineering effort. We can provide a one stop shop for all support activities. We understand the support requirements; our engineers have extensive experience on a wide range of commercial and military programmes. OSEC has the capability to deploy a team of specialists to carry out or support all PDS activities. Our team has worked with various organisations providing a flexible portfolio of services that supports the equipment’s life expectancy. Our team can also advise on replacement buys and mid life improvements. OSEC can provide a full range of CLS activities that are seamless to the end user and can be fully integrated into the customer’s existing support solution. CLS support solutions are wide ranging and must be tailored to meet the requirements. 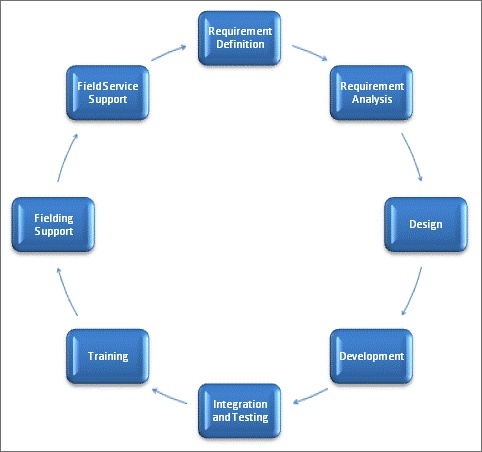 The spectrum of support ranges from traditional support whereby the logistic effort is carried out by the customer to a Contracting for Capability (CfC) which relies on the contractor performing the support activities. The full spectrum of activities are illustrated in the Support Options Matrix (SOM). Our engineers working with the customer can design the SOM to achieve the balance of support required that is also SSE compliant.